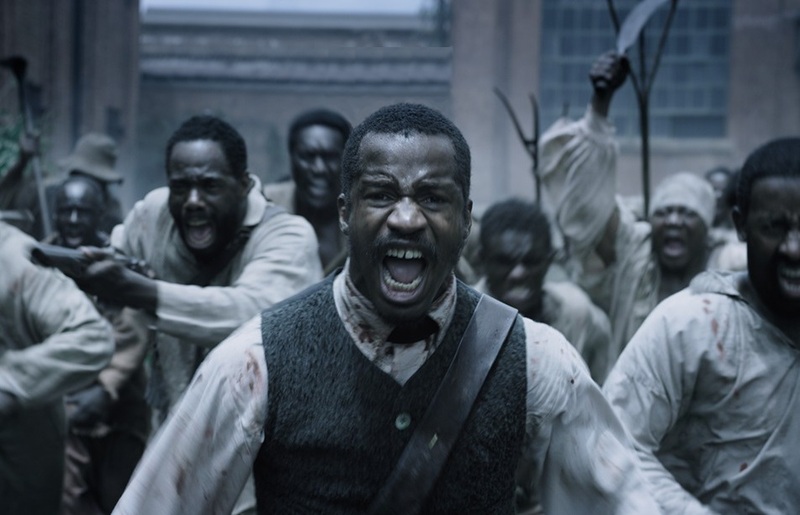 Birth of A Nation  is a cinematic retelling of American History. Its source is Nat Turner's Confessions of Nat Turner written in 1831 in which 60+ white men, women and infants are slaughtered in an 1831 Virginia slave rebellion and about 150+ slaves are victims of revenge. Coming during a presidential campaign season and well appreciated by those attending the Sundance Film Festival will . . . well at this point I can't really imagine. 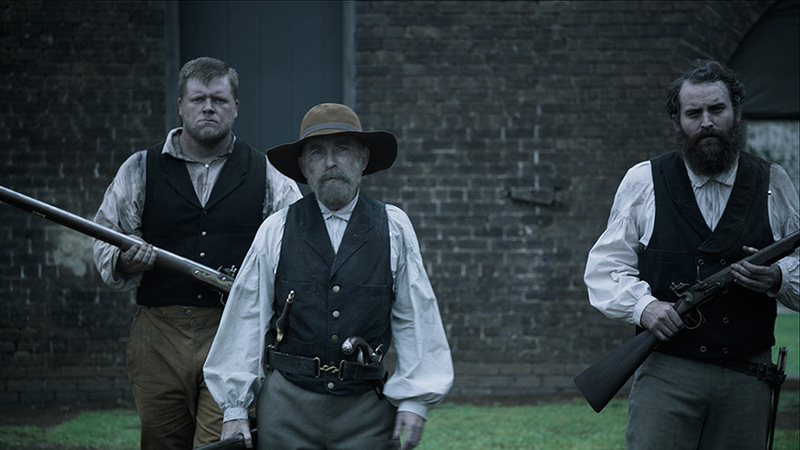 I wonder if Turner's Confessions, which was a transcription of Turner's interviews to his white defense attorney and William Styron's novel, The Confessions of Nat Turner  will even vaguely considered in the discussion of the film. I have read Styron's novel and have assigned Nat Turner's Confessions. As one of the characters in True Detective Season 2 says of journalists "They would rather be first and wrong than be second and right." For five straight days during the first week of July 1863, Dr. Daniel G. Brinton sawed off mangled arms and legs in a desperate, exhausting attempt to save the lives of wounded soldiers in Gettysburg. As the piles of limbs grew, so it seemed did the number of incoming wounded at the George Spangler Farm hospital just behind the Union line, eventually reaching 1,800 Union and 100 Confederate patients. Brinton, chief surgeon at the Spangler Farm and a native of Chester County near Philadelphia, and other surgeons were overwhelmed, unable to keep up. "The wounded came in so rapidly that by the next day we had over a thousand to attend to," Brinton wrote to his mother on July 8 from Gettysburg, a few days after the conclusion of the war-changing July 1-3 battle. "Many of them were hurt in the most shocking manner by shells. My experience at Chancellorsville was nothing compared to this & I never wish to see such another sight. To add to the scene a heavy rain came up on the fourth & many of the wounded were drenched to the skin & lay writhing with pain. ... The surgeons ... were insufficient in numbers to accomplish everything. For myself I think I never was more exhausted." The Spanglers operated a prosperous 166-acre farm until the Civil War came crashing down on them on July 1, 1863, when the Union 11th Corps claimed their property for a field hospital. Within hours, the wounded filled the barn, the house, outbuildings, tents and the separate summer kitchen building where it is believed Confederate Brig. Gen. Lewis Armistead was taken and died. The wounded even lay on the bare ground, unprotected from the sun, rain and insects. At least seven surgeons from Pennsylvania, Ohio and New York worked around the clock in the open air, amputating arms and legs on operating tables that were nothing more than doors stripped from walls. In the 1860s, with the destruction to bone and tissue caused by the Minie ball, losing a limb through amputation usually meant saving a life. While at the Spangler Farm, wounded soldier Justus M. Silliman, 17th Connecticut Infantry, said, "The barn more resembles a butcher shop than any other institution. One citizen ongoing near it fainted away." Maj. Gen. Carl Schurz, commander of the 3rd Division of the 11th Corps, visited the Spangler Farm after the battle ended. "I saw long rows of men lying under the eaves of the buildings, the water pouring down upon their bodies in streams," he wrote. "Most of the operating tables were placed in the open, partially protected against the rain. There the surgeons, their sleeves rolled up, their bare arms as well as their linen aprons smeared with blood, around them pools of blood and amputated arms and legs in heaps. A surgeon, having been long at work, put down his knife, exclaiming that his hand had grown unsteady and that this was too much for human endurance, hysterical tears streaming down his face." Two hundred and five men died at the Spangler Farm. They were buried on the farm – Union and Confederates separated – later to be exhumed and reburied elsewhere. "What makes this place so special," says Gettysburg National Military Park Spokeswoman Katie Lawhon, "is this is an authentic place. The real deal. It allows us to expand on the story of the battle, both by concentrating on the Spangler family's life before the battle and in its aftermath and on the wounded soldiers and medical providers who were there. It's something fresh, and you really get a sense of the importance of it." Among the new offerings this year is the one-hour National Park Service ranger program "The Spangler Farm: A Field Hospital at Work." There will be living history portrayals, costumed interpreters, period trade demonstrations and encampments. Topics will include civilians' experiences and Civil War medicine. Even artillery will be explored, as the farm was also used as a Union artillery reserve during the battle, with 114 cannons, 2,376 artillery men and 1,500 horses sharing the property with the thousands of patients, medical personnel and civilian volunteers. "There is something new to see every hour we are open this year," said Cindy Small, director of marketing, communications and visitor services for the Gettysburg Foundation. "We suspect this will encourage visitors to have a longer stay at the Spangler Farm and really learn of the extraordinary significance." Remaining today from 1863 are the summer kitchen, which has been rehabilitated, and the house, barn and smokehouse, which have not, though the barn's structure has been fortified and temporary siding and roofing installed. Also in the works is a three-quarter mile walking trail from the Gettysburg National Park Museum and Visitor Center to the farm, with a planned opening in 2015. The Foundation purchased the now 80-acre Spangler Farm in 2008 for $1.8 million, and it will cost $2.5 million more to finish preservation, rehabilitation and reconstruction. Work will be completed as the money is raised. "The George Spangler Farm is essential because of the multidimensional stories of this place," Small said. "The fact that you can stand in the same spot where 1,900 wounded were cared for; where a family's life was hit by tragedy; where a major military officer died; where artillery fire occurred; where temporary burials had to be hurriedly arranged in the meadow. "People can come here and feel what those people felt. To stand in the barn and look up at the original beams and imagine a wounded soldier on the floor taking his final breath as he looked at that same beam." George Nixon, a private from Company B, 73rd Ohio and great grandfather of President Richard M. Nixon, died at the Spangler Farm and was buried there. He was later reburied in Soldiers' National Cemetery in Gettysburg. Capt. 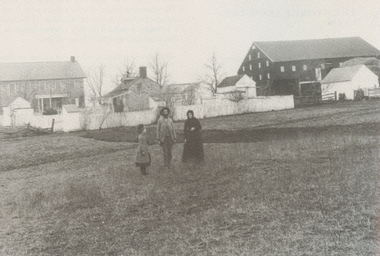 Frederick Stowe, son of author Harriet Beecher Stowe, was treated at Spangler Farm and survived his wounds. Gen. Armistead's body was exhumed from the Spangler Farm in August 1863 and reburied in Baltimore. "This is a wonderful addition to the Gettysburg National Military Park," said noted historian and Pulitzer Prize-winning author James M. McPherson, who has visited the Spangler Farm. "It has given the park the opportunity to educate visitors about the treatment of Civil War wounded and other issues connected with Civil War medicine, which is a matter of great interest to many visitors, but is not often treated in detail at Civil War battlefield parks."